The choice of car navigation. Recently, navigation systems have become very popular among the car lovers. The qualitative “car prompter” can make driving much easier. It is always ready to help you to find a way or avoid traffic. If you’re going to buy this equipment or replace an older model with the more modern one, you need to learn about the necessary characteristics and parameters of the navigation tool. The first thing you should take into account is ergonomics. 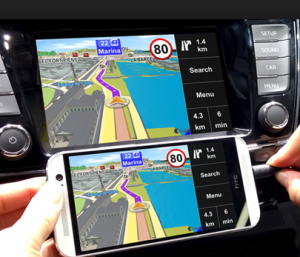 All the models of navigation system have different technical performance (i.e., screen size and software). Therefore, pay special attention to the screen. It must be large and comfortable for reading information during driving. The second important element of the navigation system is a clear reception of satellite signal. The durability of this reception determines stability of the whole system’s work. And the third factor, requiring your attention during purchasing, is the actualization of maps, that should be simple and efficient. Such map represents the system’s software.